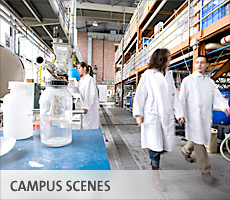 For more than 100 years, the Hochschule Mannheim – University of Applied Sciences has been anticipating future educational demands. We can look back on a dynamic tradition and commitment to meeting future challenges with innovative educational concepts. The Hochschule Mannheim sees its primary mission as the training of highly-qualified, responsible, independently-minded and critical graduates who are able to present, discuss and implement solutions. Through the practical orientation of our programmes and through our activities in applied research, we can guarantee the quality of up-to-date degree programmes. The University's outlook is global, and we actively promote international, scientific and cultural exchange between students. Our degree programmes increasingly focus on the demands and opportunities of the international community.